I recently went to a conference where one of the main themes was learning to empower communities, so that the impetus for change comes from the inside out rather than the other way around. It got me thinking about my role in public health and how cultural relativism influences health promotion. How does one reconcile cultural norms and values that contradict what many people consider to be healthy? Is it possible to retain cultural traditions and also promote healthy living? How does one help a community without being paternalistic or judgmental? The public health area that most interests me is nutrition policy. I see food as one of the major causes of poor health and the key to eliminating health disparities; but this is where I am stuck. 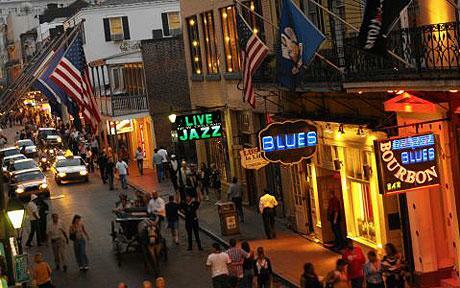 New Orleans is often exemplified as a city rich with African American and Southern culture. Music, language, and food are all elements so unique in this city and so important to cultural identity. Paradoxically, the food that defines the culture and makes New Orleans so great, is killing its people. The rate of obesity in New Orleans is four points higher than the national average and 64% of adults are overweight or obese. As I discussed in my previous post on healthy weight, obesity is not a fail proof measurement, but it is a predictor of other things like heart disease and diabetes, and diabetes may be the bigger cause for concern. High fat, high carb, high sugar sources of food are in abundance in New Orleans, and in a city known for its violence, diabetes was the second leading cause of death in 2010. Is it possible to value fried foods, butter, lard, and sugar and all these amazing culinary dishes and still work towards a healthier society? Which brings me back to cultural relativism: the idea that all cultures should be valued, no one culture is superior to another, and there is not one cultural norm that is “right.” How can we honor and respect cultural practice and also ensure health and equity for all? Reconciling the inherent unhealthy nature of New Orleans food with the growing health problems caused by unhealthy diets is only one example of the conundrum of cultural relativism. Another example of an unhealthy habit that is closely associated with culture and food is the Russian consumption of Vodka. 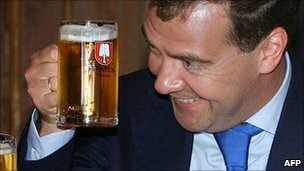 According to a study published in the Lancet 25% of men in Russia die before they the age of 55, and most of the deaths are due to alcohol. 31% of Russians consume vodka on a regular basis and it was not until 2011 that beer was even classified as alcoholic and not a food item. As an Alcohol and Other Drug Intervention Specialist, I see these numbers and right away want to try and change them, but I need to ask myself how alcohol is part of culture. Do we tell Germans to stop brewing beer and having Oktoberfest because it promotes heavy drinking? Is it our job to go into Russia and tell them that consuming alcohol at lunch business meetings, and drinking heavily every day of the week is wrong? I guess what I am asking is, as promoters of health, are the only parts of culture that we find to be satisfactory, the parts that Western “Experts” think are okay? Is our goal to eliminate every unhealthy behavior that exists, and if not, where do we draw the line?